The SFR skate bag is made of Heavy Duty 600D PVC water resistant material with embroidered logos. It fits skates up to EU size 40. 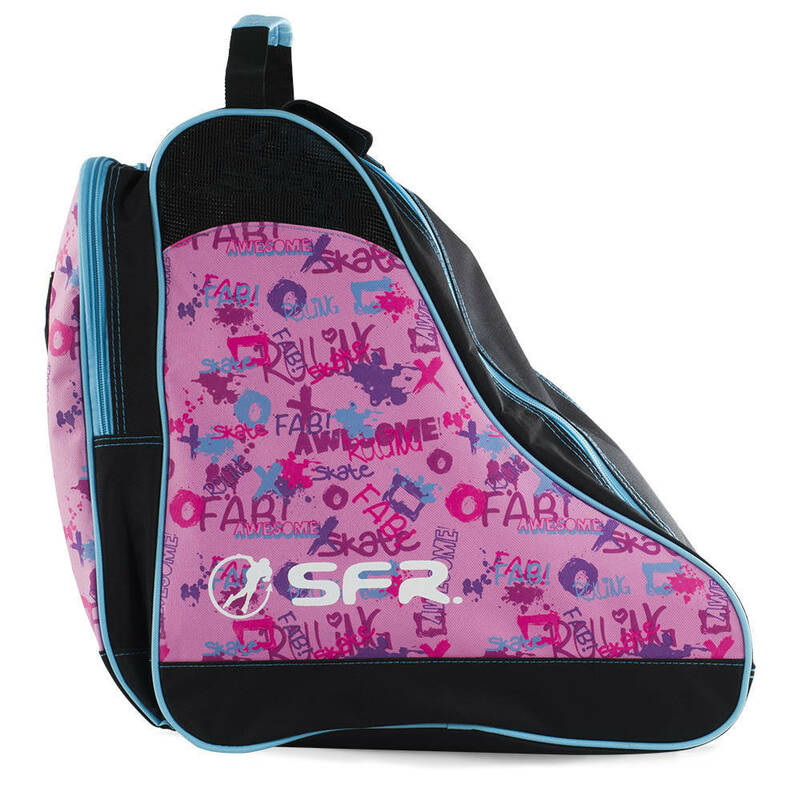 Features include internal base board for structural strength, air cycle vents, plastic feet on the base and shoulder carry strap to carry your SFR skate bag. 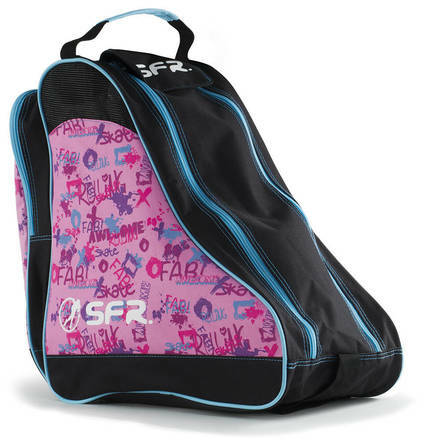 Great bag for your essential skating bits and pieces. Quality great for the price too. Good value and professional-looking bag. The quad figure skates fit in with plenty of extra room so it is ideal for travelling. 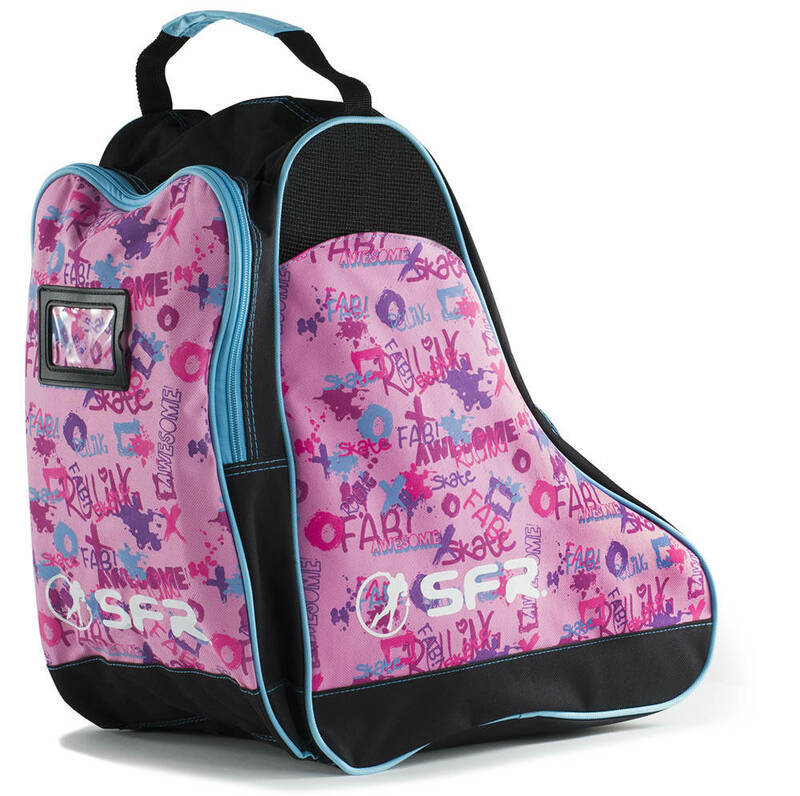 This was purchased for my daughter to carry her skates in and she loves the bag. Seems to be of decent quality. Shipping toook some time but came from the Netherlands to California so wasnt expecting much.